It only takes one storm to change your life and community. We don’t really live in the hurricane belt, but you need to be prepared. The 2018 Atlantic hurricane season starts officially on Friday, June 1, but we have already seen the formation of the first storm of the season, Sub-Tropical Storm Alberto that made landfall in the Florida Panhandle on Monday. Therefore, it is very important to start preparing early, and one of the first things that you need is a Disaster Supply Kit (DSK). 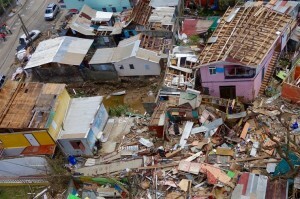 A DSK would have the necessary supplies for up to five days after a storm has passed the island. A devastating hurricane could leave the country without water and electricity for several days if not longer, and therefore it is very important to have a minimum of one week of supplies for each person in the household. The DSK should contain non-perishable food, water and medicine (fill prescriptions before the storm); non-electric can opener; first-aid kit; extra cash (ATM machines and credit cards won't work if there is no electricity); battery powered radio and flashlights as well as extra batteries; make sure cell phones are all charged prior to the arrival of the hurricane; fill up your car/truck with gas; check if your home and automobile insurance are up to date; put ID cards, passports and driver's license in a waterproof bag along with other important documents. If you are a parent with an infant or young children, you also need to have essential items as part of your disaster supply kit: baby formula; diapers; bottles; powdered milk; medications; moist towels; and diaper rash ointment. Authorities on the island are advising all residents to begin to prepare timely for the Atlantic hurricane season, and to have the necessary plans in place before August 1 in time for the peak of the season (mid-August – mid-October). Use the quiet period of the season to trim back tree branches from your home; cut all dead or weak branches on any trees on your property; clean-up your yard and put away items that could blow away during the passing of a hurricane. For those whose homes are not yet storm/hurricane ready, you should make alternative arrangements to stay at family, friends or other housing arrangements. Remember, to use the time now to plan ahead. The 2018 hurricane season officially runs through November 30.